Casa Quirós is owned and run by Richie Patterson and Mary Ryan – a pair of refugees (from England and Ireland) who fled Sheffield 10 years ago and pitched up in the Green Paradise that is Asturias. Lured by endless mountains, beaches and enough sun to keep us warm (but not fry us) we have been enjoying ‘the good life’ climbing, surfing and raising the odd glass of cheap red wine. 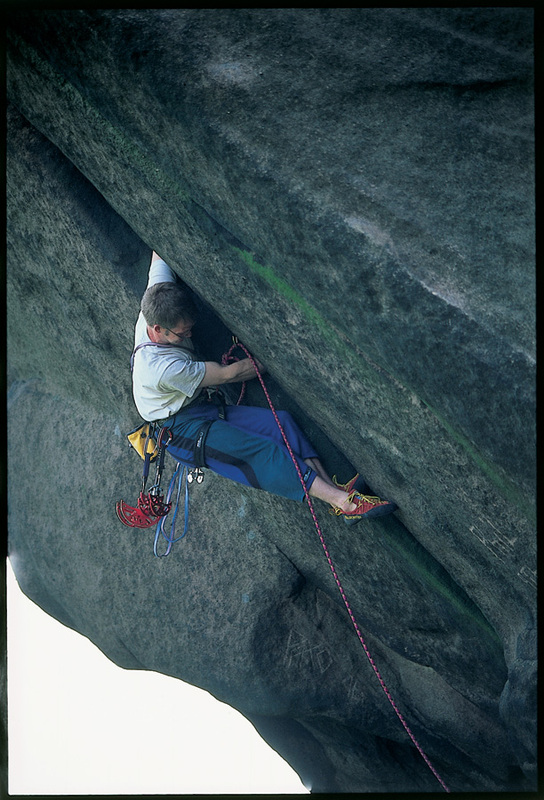 About Richie - A climber since the age of 11, I have worked in the outdoor industry for 25 years, first at the famous Outside climbing shop in the Peak District and then for the last 17 years at Wild Country. At Wild Country I have had a hand in designing lots of different bits of climbing gear: the well loved Superlight Rocks and newly released Superlight Offset Rocks were both my designs. 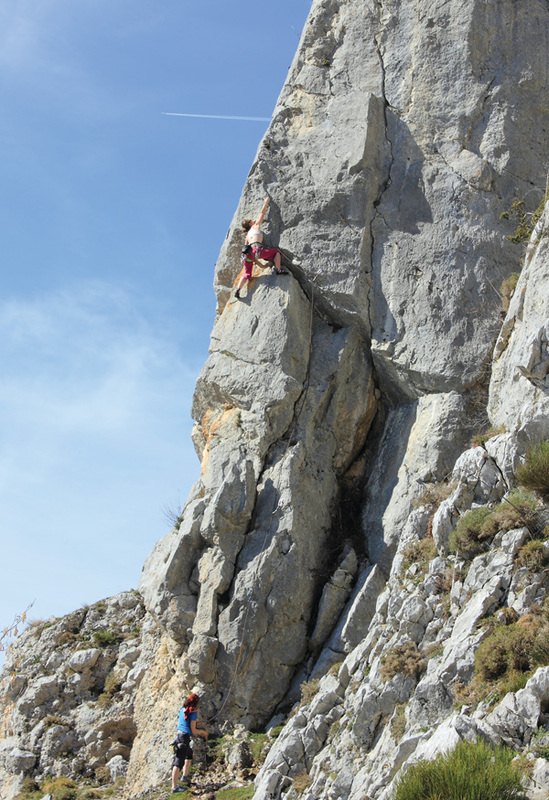 However, I recently quit my work at Wild Country to concentrate my life in Spain and to run and expand our new holiday cottage business (and to climb as much as possible). As a climber I have done a bit of everything – starting out as a trad climber I did my first extreme as a solo in Northumberland and my first E4 in 1986. Since then I have climbed across the world in many locations, have appeared in a couple of climbing videos (The Real Thing and Stone Love). I have climbed with some of the world’s best climbers and whilst living in Sheffield put up quite a few new routes in the Peak District, both on gritstone and limestone; including the first ascent of Born Slippy E8 at Curbar. 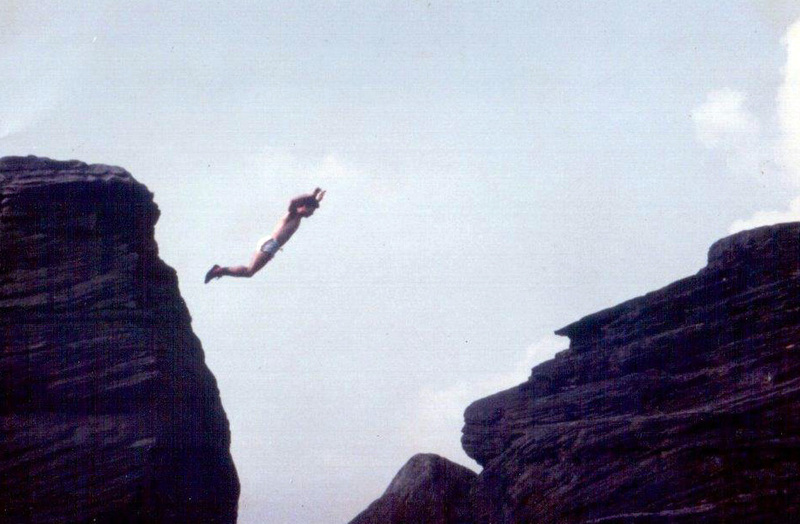 After suffering a bad shoulder injury in 2001 I took some time off and took up surfing and got the urge to move closer to the sea – and between me and Mary we picked Asturias! 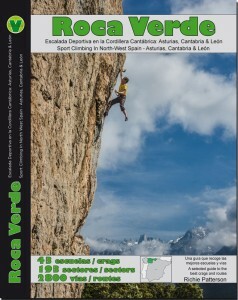 However, after being in Spain a few years and getting back into climbing I decided that the information available about this amazing area was terrible and I would write a guide. Two years later I published Roca Verde and the positive reception put my mind to thinking about creating a place to stay for people – thus Casa Quiros was born. Also resident in Sheffield before our move Mary was a practising acupuncturist, fluent in French and like me a nascent surfer. 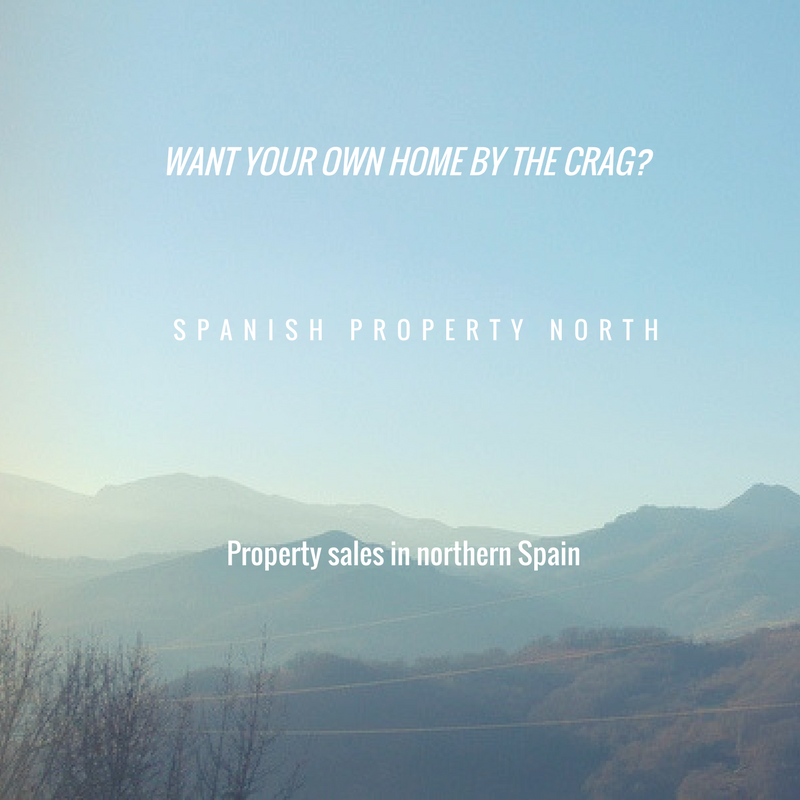 Luckily for me her linguistic skills were able to stand the transfer to Spain and with plenty of hard work she’s pretty much fluent and created a niche by successfully helping local estate agents bring their properties to Uk and overseas buyers. 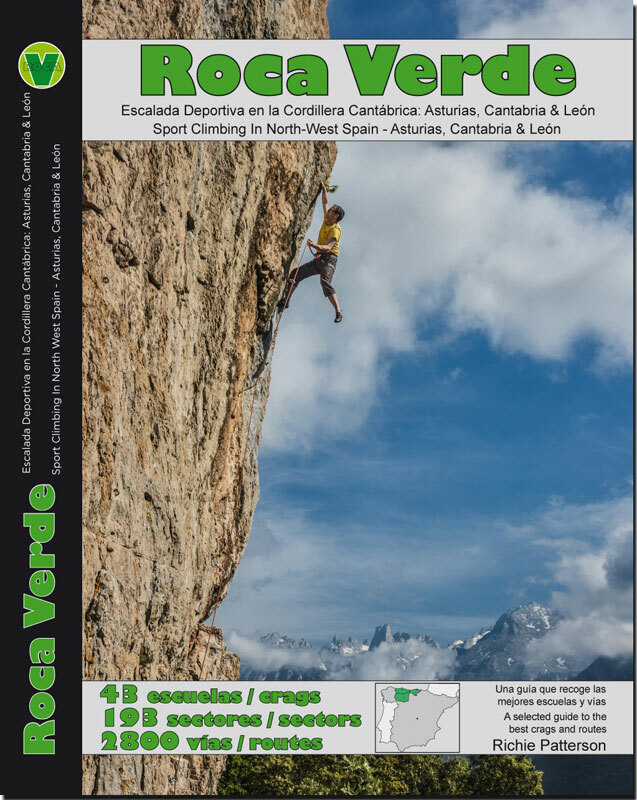 Her climbing has also taken off and she’s got a starring role in the Roca Verde guidebook appearing on more routes than anyone else. 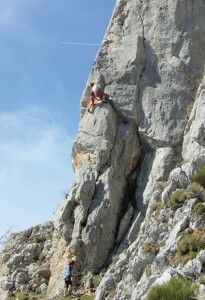 Mary Ryan on El cantu, V, Marabio. Hi Richie and Mary, We would like to book some accommodation for a week over Easter 2018. We are thinking of the Easter week 8th April – 15th April. Which is the best airport to fly in to? And how far are you from the airport? I have to book the time off work yet so this is just tentative at the moment. I will be able to confirm it by the end of the week. We have a week free at the end of this month (feb) and there is a chance we can come out. Are you around? Hi Dan, we are around and the house is available at the end of Feb. Drop us a mail at richieandmary@casaquiros.co.uk if you decide to come out.